We all have occasional bloating, indigestion – gastrointestinal distress is no fun! Overindulging during the upcoming holiday season can bring on unwanted tummy turmoils. Taking enzymes will help break down your holiday feast and probiotics will help keep your gut healthy. Here in this newsletter we turn to Our Elders Speak and Hippocrates Health Institute to learn why we should all use enzymes and probiotics. 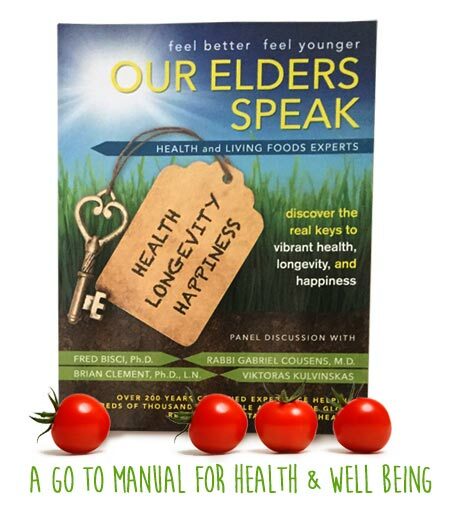 Our Elders Speak is the ultimate go-to manual for health and well being. In this amazing book, 4 World Renowned Raw Living Foods Pioneers answer your most important health questions. "The human body produces approximately 3,000 metabolic enzymes. They are catalysts, and every function in your body requires them. Without metabolic enzymes, you will not absorb your vitamins. One of the most important metabolic enzymes is the respiratory enzyme. Without respiratory enzymes, your cells will not absorb oxygen. 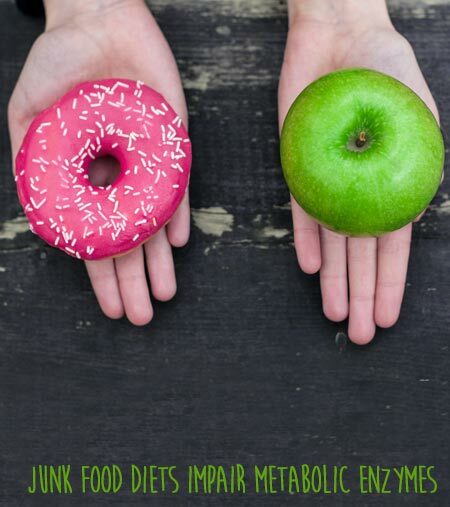 When you’re eating a junk food diet, which is very acid forming, eventually you will impair your metabolic enzymes and your body will start to utilize non-oxidative fermentation. When a cell gets to the point where it is below 30% in its utilization of oxygen, it will switch to non-oxidative respiration. When it is thriving on non-oxidative respiration, then you’ve got a rapidly growing cancer cell." "Ninety-nine percent of people are enzyme deficient and enzymes rule not only the digestive function, but also the immune function and metabolic activity." 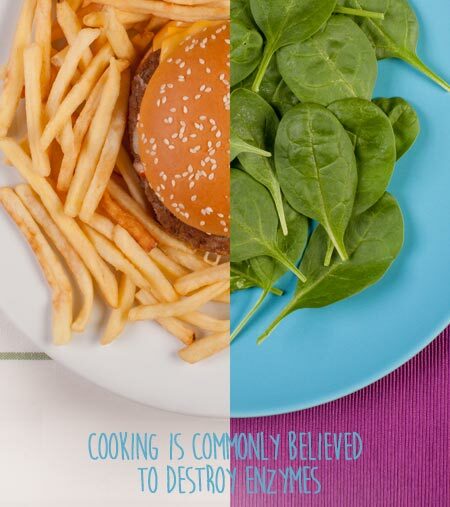 "Cooking is commonly believed to destroy the enzymes in a food, and this of course, is true. Our enzyme reserves seem to be connected to life force, health, and longevity. In this way, enzymes are living biochemical factors that activate and carry out all the biological processes, including digestion, nerve impulses, and healing, and even the mental function of building neurotransmitters." "Enzymes drive the immune system function, which is the police force against pathogenic microbes and industrial waste radiation and also rejuvenation of your body. The enzymes are your blue-collar workers. They do all the physical work. All other nutrients don’t do any kind of work––it’s the enzymes that do it. They are associated in your healing and recovery, and without enzymes, there is no life. Most people are living on an enzyme-less diet; the only reason they stay alive is that there are certain amounts of friendly bacteria that are on your skin and in your gastrointestinal tract, that make some enzymes for the individual." "I believe that taking supplemental enzymes is a big help—they can help prevent disease and slow down the aging process. I’ve been using them diligently since I would have some pain from my injuries. 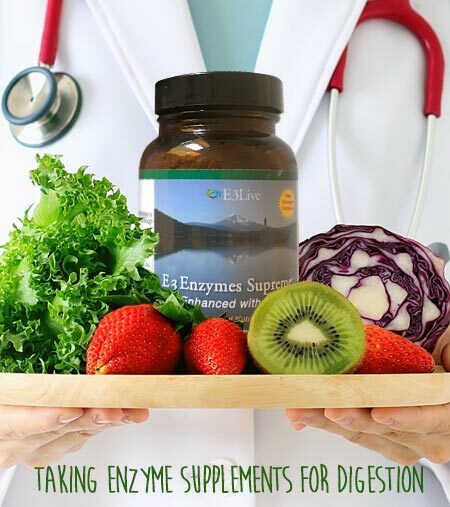 I’ve seen fantastic things happen when people start supplementing their diet with enzymes. It’s not absolutely necessary, but they do have a lot to offer. " "It is important to take enzyme supplements, particularly for digestion, because they aid digestion and help the enzyme reserve maintain itself. Enzymes are life force energy. Taking enzyme supplements supports the enzyme life force energy. Under chronic disease, the enzyme reserves diminish significantly. " "Probiotics are beneficial bacteria that play a very important role in your health. They can be found everywhere inside and outside your body doing good deeds but, most reside in your gut." "Adequate probiotics are extremely important for our health, our immune system, and our overall wellbeing. Surprisingly, they are actually part of our biochemistry and are needed for certain biochemical reactions that maintain health. The best thing one can do is take probiotics on a regular basis." "Probiotics assure that you’re going to have tons of enzymes manufacturing within your gastro-intestinal tract, as well as the production of very high resources of amino acids." 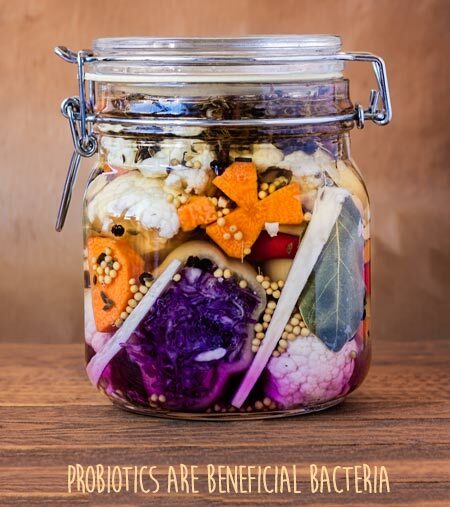 "Probiotics comprise 60% of your immune function by secreting chemicals that battle pathogenic bacteria, viruses, fungi, mold and yeasts thereby keeping you healthier." "The body definitely needs a regular input of probiotics." "One should incorporate the consumption of superfoods, with an emphasis on enzymes, probiotics and green food supplements like blue-green algae and spirulina. " 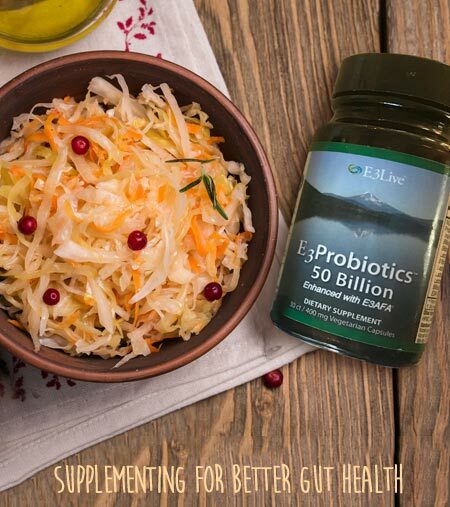 Prepare for the holiday season with E3 Enzymes Supreme and E3 Probiotics 50 Billion. 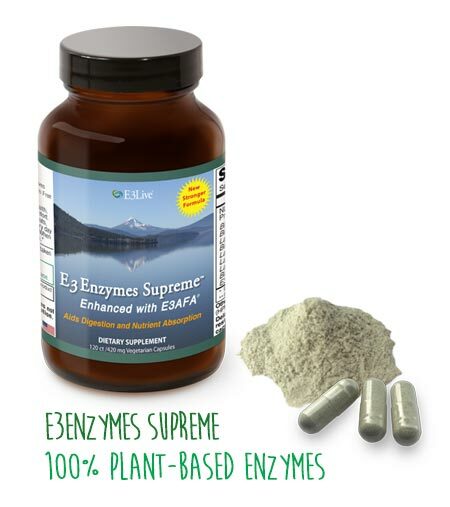 E3Enzymes Supreme Enhanced with E3AFA help break down fats, proteins and carbohydrates in our food, allowing nutrients to be extracted, absorbed and carried through the blood stream to the organs and cells of the body. 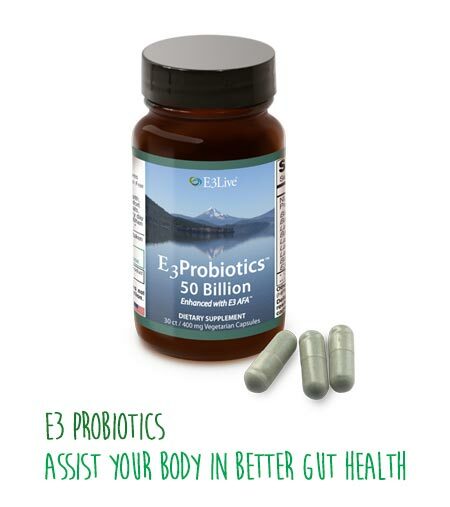 E3Probiotics 50 Billion Enhanced with E3AFA is our all natural, non-GMO, herbicide and pesticide free probiotic supplement. It is formulated to assist your body in gut health, gut swelling and immune health.